Discussion in 'Auto News' started by GTPNewsWire, Nov 29, 2018. This article was published by Joe Donaldson (@Joey D) on November 29th, 2018 in the Automotive News category. The wife has 16' Wrangler 1945 edition in sarge green, she wants to trade it in for one of these. Well people do love their Jeeps, My Fiancé included. This should give them even more reasons. Beeblebrox237 and SecretAgentZero like this. Agreed, especially considering the success of the Brute conversion. Still happy to see a Jeep pickup though. Moby45 and SecretAgentZero like this. This doesn't feel as...natural as a truck as say, the Comanche did. Nevertheless, should be a very popular choice. This thing is going to sell like hotcakes in the US regardless of price. It's exactly what people want. The combination of capability and practicality will be unmatched. Add a diesel into that equation and Jeep just hit a home run. Will it look somehow similar to Ford's F-150 Raptor? The suspension, wheel arches, bumpers, wheels, etc. I would prefer a 2-door, but I'm still happy with this, as well as reviving the Gladiator name. I can't get used to how this thing looks. I just don't like the extra length. It doesn't look like a pickup, and it doesn't look like a Jeep. It looks like a Frankenstein Jeep-pickup. Which is what it is. Still. I think a single-cab version would look a lot better. 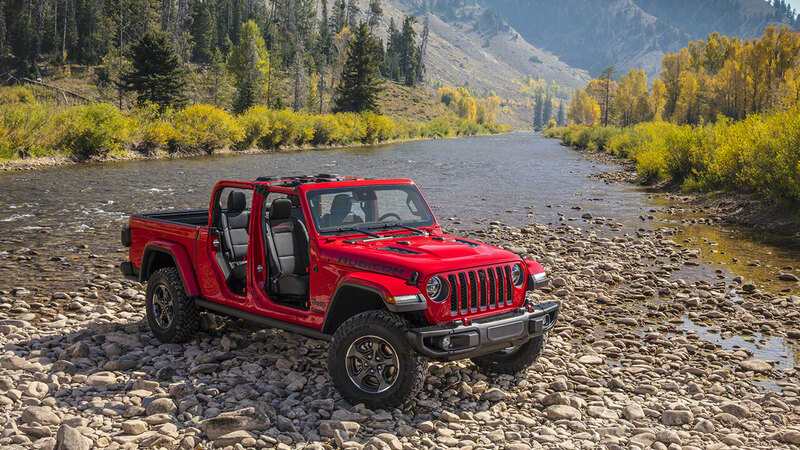 Now that the Wrangler has become....quite large, I kind of hope Jeep brings a baby wrangler to market. Replace the Renegade with something properly Jeepish. I'm also still waiting for a proper XJ successor.